Spartans were a people from ancient Greece who had two main goals in life: to be the best warriors in the land, and to serve the gods. Little else mattered including material goods, philosophy, discoveries or art. 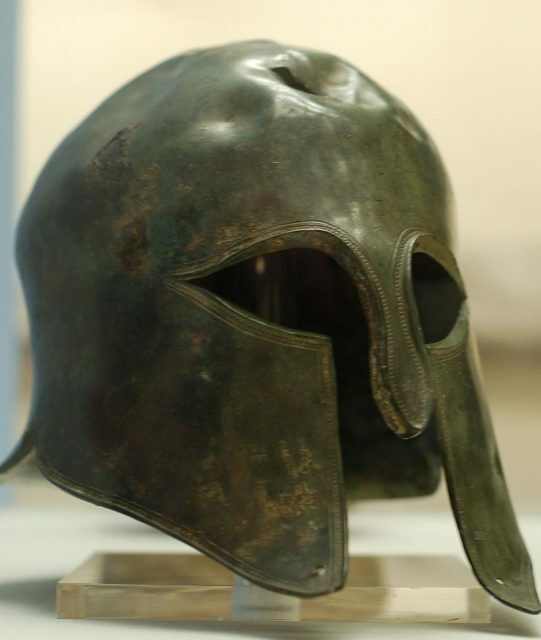 Spartans lived for the military, with men training to be warriors and the women trained to bear warriors. 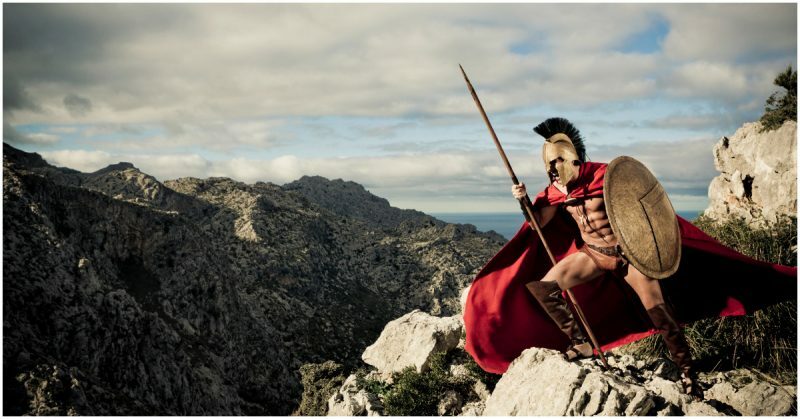 The city of Sparta stood on the Peloponnesus peninsula in Greece, south of Athens. Founded about the tenth century BC, they became the most feared opponents in the known world. As warriors, theirs was not a peaceful existence. 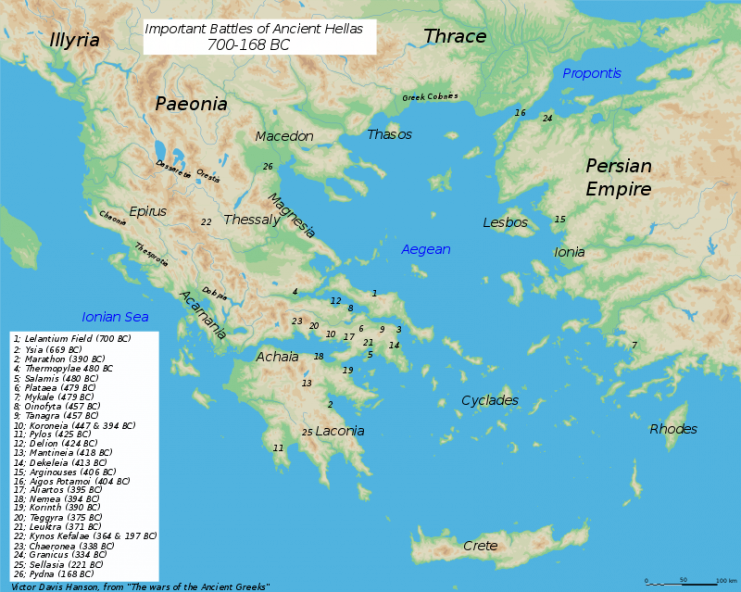 There was continuous conflict with nearby cities such as Corinth and Athens, which led to the Peloponnesian Wars and the later Corinthian Wars. 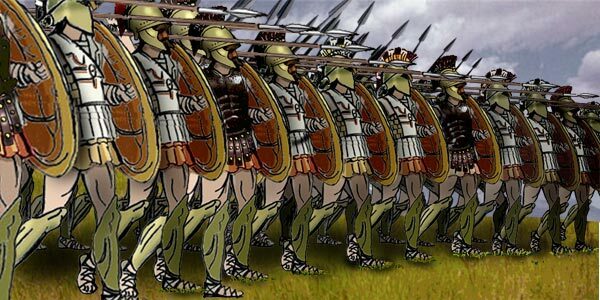 Modern reconstruction of a Greek phalanx advancing in close ranks. From birth each child was “owned” by the state. They were evaluated by inspectors, and if deemed unsuitable, the baby was abandoned outside of the city and was either found by non-Spartans and taken in, or most commonly left to die. Those who made the cut were raised by their mothers who practiced the hands-off technique of motherhood. Cuddling and kissing did not make good warriors. At the age of seven, the boys were removed from their families and sent to a military school where they learned basic education as well as hunting, fitness, stealth and most importantly, warfare. As years went by they were taught to weave reeds for a bed and how to forage for food. Bullying was encouraged, and any sign of fearfulness or weakness would be publicly shamed. They were expected to remain warriors for the next sixty years and had no other choice of vocation. 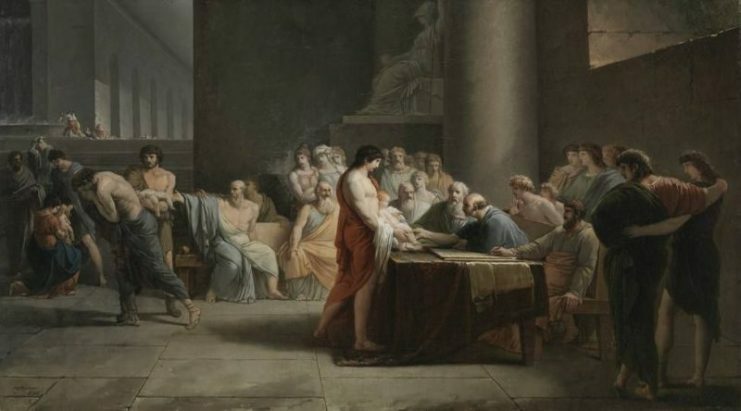 Jean-Pierre Saint-Ours, The Selection of Children in Sparta, 1785. A Neoclassical imaging of what Plutarch describes. Farming, labor, and manufacturing by craftsmen was performed either by those who lived outside of Sparta or by slaves. Girls stayed with their mothers and were properly educated and schooled in physical activities that would strengthen their bodies for child bearing. They were encouraged to publicly reject boys who did not exceed the Spartan requirements. Physical fitness was so important that anyone who was in any way overweight or out of shape risked expulsion from the city. Spartan women, however, were comparably well off. They were able to drink wine and have their own money and land, and as the male population decreased through war, they were among the wealthiest citizens. For the Spartans, marriage was mainly for procreation. Men were not allowed to marry until the age of thirty, but women could marry at twenty. Qualities looked for in a potential mate were fitness and health. If for some reason a man could not impregnate his wife, he was required to seek out a substitute, and those who did not marry were treated as outcasts. Government was administered in a nearly democratic way by two royal families, and the kings were considered ministers of Zeus. They were part of a type of congress of elders called the gerousia. Next was the ephoroi, men who represented the citizens who formed the ekklēsia, a public assembly. The only thing more important than war was religion. Animal sacrifice to Zeus, Athena, and Artemis Agrotera, goddess of the hunt, was common before and after battles. The animal then provided meat for the soldiers. If a religious event was being celebrated, they did not fight. Sparta went from being a feared and powerful civilization in 431 BC to defeated by Thebes in 371 BC at the Battle of Leuctra. That same year Sparta was invaded, and the slaves were freed. Sparta began a gradual decline, and in 396 AD the city was sacked by the King of Visigoth, Alaric, which effectively ended the most feared civilization of the ancient world.